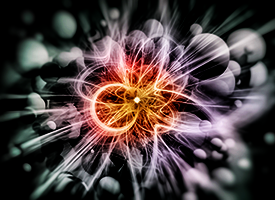 Recently, a paper was published by CEA Saclay Irfu that provides a great overview of the support hardware and software that can be used to maintain and control a superconducting magnet-based particle accelerator. It recommends the use of Lake Shore Cernox® sensors for critical temperature measurements below 70 K and platinum RTDs for temperature measurements above this. In the time since this project began, Lake Shore released the 240 Series of temperature sensor PLC input modules to address additional needs that were left unmet by existing solutions. 240 Series modules provide several key benefits, such as the ability to extend the usefulness of the lower-priced platinum RTDs to below 20 K, ultra-fast temperature reporting down to 1 ms, improved scalability with the choice of 2 or 8 input modules, and a convenient miniature front OLED screen for diagnostic reporting. Most importantly, 240 Series modules allow facilities to have a single supplier responsible for the entire thermometry portion of a project, reducing the risk associated with mixing suppliers for such a critical measurement. For more about the modules, including how to request a kit for evaluating the use of the modules in your system, visit our 240 Series webpage. In "cryogenic process control, fermilab, linac, news, particle accelerator, particle physics, research and applications"